My grandfather, Frank R. Billman, owned and operated this general store, located on the southeast corner of Malaga Street (Ohio 145) and Back Street in Lewisville (Monroe County), Ohio, for over thirty-two years. He had worked in the store as a young man when it was owned by Charles Oblinger, who lived in the large house next door, and had bought it from Oblinger in January 1921. My mother, Grace (Billman) Stallings, always said that Oblinger had had the storefront imported from Germany, but she never explained why or from where. 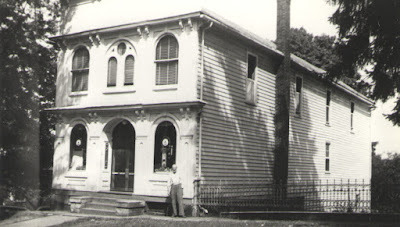 The photo below was taken in August 1950. That's F. R. Billman himself standing on the sidewalk in front of his store. This was one of two general stores in the small town serving not only residents but also farm families in the surrounding countryside. The other general store, located two blocks to the north, was owned and operated by my grandfather's next-door neighbor and friend, Charles Feiock. Billman retired at the age of 68 and sold the store to a newcomer from Florida, George Radon, on May 29, 1953. He died just a few months later. The store was not nearly as successful for Radon as it had been for my grandfather, the locals apparently not enamored with this outsider. On September 7, 1956, the store burned down under mysterious circumstances. My mother and most locals believed that the fire was a case of arson and that Radon had deliberately set fire to his own store in order to collect the insurance and move on. Not long afterwards, Radon purchased a new, one-story brick supermarket on the outskirts of the county seat, Woodsfield, seven miles to the east. Both my mother and my grandmother, Ollie Billman, often said that they were glad that "Dad" (as both called him) had not been alive to see the ruins of the store that was never rebuilt. Here is what the location looks like today. 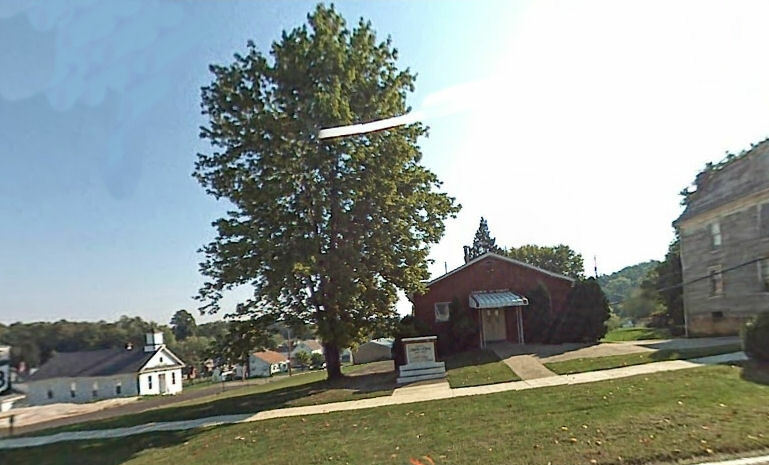 The location is the southeast corner of Malaga Street (Ohio Route 145) and Back Street.